The ECB have now announced the final squads for the Kia Super League and it is exciting to see that several England cricketing superstars, former World Cup and Women’s Ashes winners will line-up alongside future stars in the summer. It can’t have been easy to pick the final 90 from a pool of 200 potential players but each of the Kia Super League teams has today named a playing squad of 15, which comprises three or four England women’s players, three overseas players, two or three England Women’s Academy players, and six or seven players who have been selected through a county talent identification process. Following the unveiling of where the England women’s players will be based and which overseas players have been signed, today’s announcement reveals where the very best young talent from the England Women’s Academy will be on show this summer, alongside naming six former England players who will feature in the T20 competition. Arran Brindle, Beth Morgan and Laura Newton, who retired from international duty in 2014, 2011 and 2007 respectively, will bring 330 international caps and a wealth of Ashes and World Cup winners’ experience to the Southern Vipers, Surrey Stars and Lancashire Thunder. Meanwhile Western Storm will be able to call on 2005 Women’s Ashes winner Rosalie Fairbairn (née Birch), and former England cricketers, left-arm seamer Laura Spragg and wicket-keeper Lauren Griffiths have been included in the Yorkshire Diamonds and Loughborough Lightning squads. 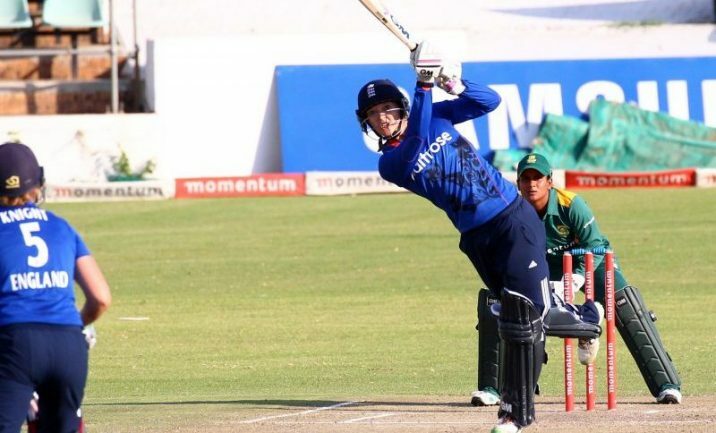 Lancashire Thunder have also today announced that their third international signing will be hard-hitting West Indian top-order batsman, Hayley Matthews. Matthews won the player of the match award for her sparkling 66 off 45 balls during the recent ICC Women’s World Twenty20 final. She replaces Australia’s Jess Jonassen in the Thunder squad, after the all-rounder was ruled out of through injury. ECB Director of England Women’s Cricket, Clare Connor, said: “The momentum behind the new Kia Super League continues to gather pace, and today marks another important piece of the jigsaw as we get set for the competition’s launch later this summer. “The six squads are well balanced and full of quality, talent, youth and experience. 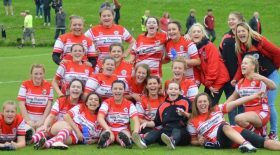 It is excellent that we have been able to attract the likes of Arran Brindle, Beth Morgan and Laura Newton to play in the competition, alongside giving opportunities to exciting fresh faces from our Academy such as Sophie Ecclestone and Sophie Luff. Having former World Cup winners and Ashes winners involved will not only strengthen the standard of the competition on the field, it will also bring another level of insight and knowledge, which will assist with meeting our overriding objective for the Kia Super League to bridge the gap between domestic and international cricket.